Dr John Cameron (Letters, 24 December) is right to observe similarities between the Lockerbie and Shirley McKie investigations. An in-depth analysis of both cases reveals, however, that they had more than Colin Boyd in common. Not only were a number of Crown Office, police and forensic witnesses involved in both cases but there was particular interest shown by foreign governments through agencies like the FBI. More importantly, a common culture appeared to bind these people and agencies together. Their “conviction at all costs” mentality, regardless of the contrary evidence staring them in the face, brooked no opposition and of course erroneous forensic evidence, which still bears the mantle of infallibility, was extremely helpful to the cause. It’s not for me to judge their motivation but it was this realisation that led to my joining Justice for Megrahi, the organisation currently locking horns with the Lord Advocate in the face of his latest outrageous outbursts in relation to past and ongoing Lockerbie enquiries. “Forensic folly” indeed but also “cultural collusion”. 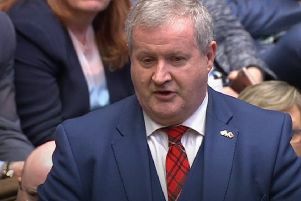 Through this continuing rejection of the reality staring him in the face the Lord Advocate, Scotland’s independent prosecutor in the public interest and a member of the Scottish Government, has severely compromised his constitutional position of independence and neutrality. Forensic evidence is not perfect but is the best form of evidence we currently have. All other forms of evidence have their risks, including confessions, witnesses and even film or digital recording. Abdelbaset Ali Mohmed al-Megrahi was released on the basis of medical evidence that he would die within three months. When he failed to die for 30 months we did not conclude that all medicine was therefore wrong. Dr Cameron criticises forensic evidence whilst citing narrative evidence. Forensic evidence, being scientifically based, usually fails in human interpretation of the science rather than the science itself. We need to improve the scientific basis of forensic evidence rather than abandon it. Even DNA evidence is subject to interpretation and hence contains a risk of error.